“They melt in your mouth, not in your hand!” but it’s time to reconsider whether these little chocolatey snacks are worth the risk. 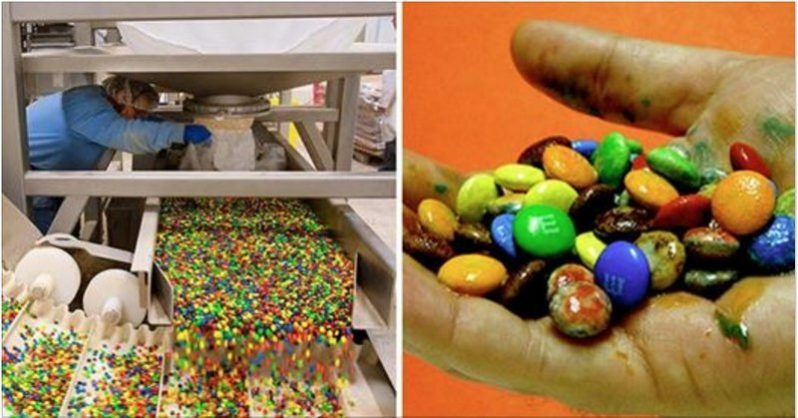 Many people have already gotten involved, signing a petition urging the makers of M&M’s to use their $27.4 million profit to make their product safe again. 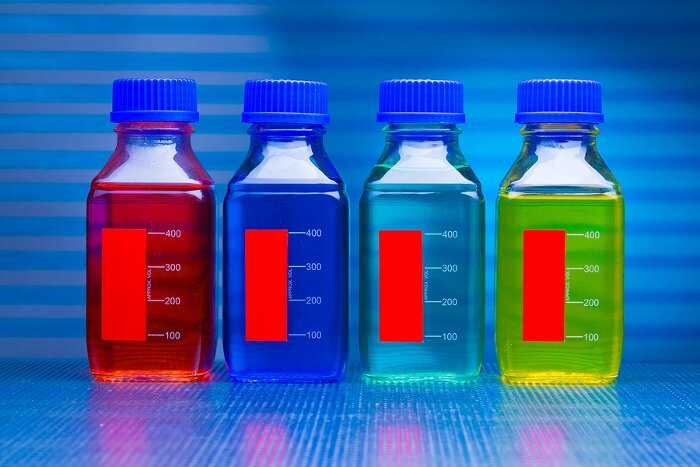 less than 1% – corn syrup, dextrin, coloring (includes blue 1 lake, yellow 6, red 40, yellow 5, blue 1, red 40 lake, blue 2 lake, yellow 6 lake, blue 2), gum acacia. 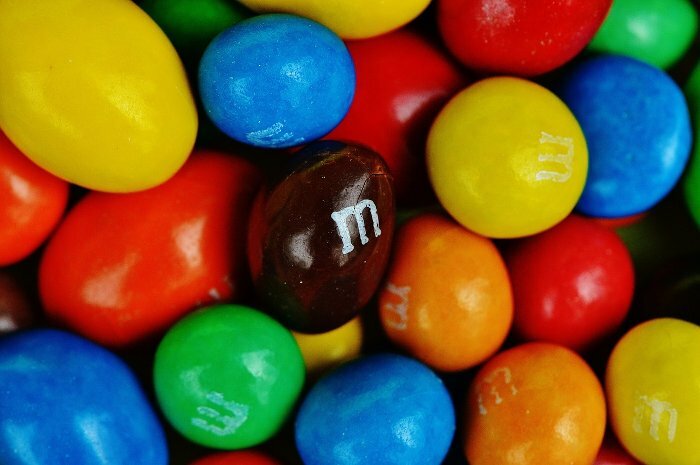 It’s not just one ingredient that has some health-aware citizens wringing their hands, there are actually several ingredients found in M&M candies that would be better left out. Reason #1: Soy LecithinThis chemical is commonly used throughout the (Western) food industry to prolong the shelf life of food products. As you may have guessed, it’s made from soybeans, which, at this point are 93% genetically modified. Some companies, like Monsanto, use GMO technology to allow their crops to withstand an obscene soaking of herbicides and other chemicals. Unfortunately, that means that we the consumer end up ingesting the remnants of these chemicals. In addition to the issue of genetic modification and toxic chemicals, consumption of certain types of soy has been linked to an increased risk of breast cancer, fertility, and reproductive problems, and possibly cognitive and behavioral issues. Naturopathic doctor, Nadia Kumentas, breaks down the complicated nature of soy and the endocrine system and explains which types of soy are healthy vs. unhealthy. It’s much better to snack on organic ingredients, and fresh, whenever possible. Blue Dye #1: risk of allergies; published studies do not suggest a link to cancer, however, a test tube study found inhibition of nerve cell development. Blue Dye #2: published studies do not suggest a link to cancer, however, the CSPI claims the studies conducted did not include in utero research, and did not use appropriate dosage to test. Red Dye #40: published studies have shown a risk of allergies, and potential contamination with p-Cresidine; there is no apparent evidence in published studies of tumor risk. Yellow Dye #5: published studies show a risk of allergies and possible contamination with Benzidine, 4-amino-biphenyl. 6 of 11 studies suggested a link to behavioral problems in children. Yellow Dye #6: published studies show a risk of allergies and possible contamination with Benzidine, 4-amino-biphenyl. There is some evidence for a link to adrenal and testicular tumors. Reason #3: Inflammation-Causing IngredientsThe truth is, even if M&M replaces all of their artificial dyes and colors with natural ones that haven’t been associated with potential health risks, the main ingredient alone has an adverse effect on your body. Refined sugar (without which, you can’t have milk chocolate) is well-known to cause inflammation in your body. Additionally, those with sensitivities to milk and dairy products can experience a toll on the digestive tract in the long-term, and can lead to complications such as leaky gut, depression, and even cancer. On the other hand, organic chocolate (referred to as cacao by many) will actually have the opposite effect. Rich in antioxidants, it will help your body to fight the damage caused by inflammation in your body, is proven to improve your mood (way better than refined sugar ever will), and still tastes delicious.